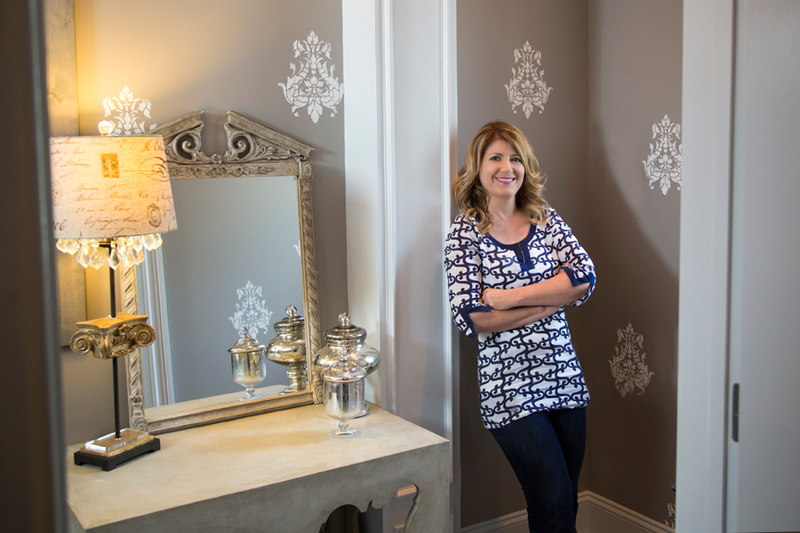 Robin Bretz, owner of The Jeweled Cottage, bubbles with bath design knowledge. Bathroom design is all in the details. So says Robin Bretz, a kitchen and bath designer for 11 years. Robin: Room-based bathrooms are really popular right now. The idea is to make your bathroom more like an extension of your home, rather than a utilitarian space. This could be achieved by incorporating furniture pieces into the design (for example, convert an antique piece into a vanity), using lamps or decorative lighting in lieu of typical bath light fixtures, add a place to sit or even refrigerator drawers for storing beverages. You create cohesion and flow between the bath and the rest of your home. SLHL: What are trends in showers and tubs? Robin: Walk-in shower concepts (no-shower door) are popular. They offer the convenience of no glass to clean and the wow factor of being "different." Be sure to consider other ways to warm the space like heated floors; no one wants to be chilly in the shower. Multiple showerheads continue to be popular. At the very least, I think every bath should have a handheld showerhead, if for nothing more than cleaning your shower. SLHL: When redesigning your master suite, why consider incorporating the clothing closet into the master bath space? Robin: Convenience! You get ready in your bathroom, so why not have everything you need right at your fingertips? The concept is very functional. Also, an incorporated closet keeps the space private. SLHL: If I am redoing my bath, what should I think about before ordering my cabinetry in regards to storage? Robin: You need to think about all that you need to get ready…i.e. your curling iron, hair dryer, towels, etc. Today, there are so many customizable options available to suit your needs. A shallow drawer is always a necessity for cosmetics. They even have a metal container that fits into a drawer for your curling iron. SLHL: If you’re tight on space, what are some solutions for storing your essentials? Robin: Simple solutions include baskets or containers to hold or hide your toilet paper and towels. If you can fit a medicine cabinet, they are a great solution. Medicine cabinet design has come a long way, and they offer practicalities such as humidity control and locks. A lot of times, if you want more space you have to create it. Recess a shallow cabinet into the wall, or use a fully custom cabinet line to create cabinetry for your specific storage needs. You can also take an adjacent room and expand the space.